Immerse yourself in the fundamentals of studio production -- with the emphasis on fun. In this four-week workshop, you'll get your hands on lights, cameras, the soundboard, switcher, teleprompter, and character generator -- all the equipment necessary to produce your own TV show. Demonstrate competency through all four sessions and you'll be certified to use CMCM's newly upgraded HD Studio to make your creative (tele)vision a reality. Members $140 - Log into the site and click the "Register' button on this event page. Omid Shamsapour has been involved with multimedia production for many years and has a passion for music, movies, and sports. 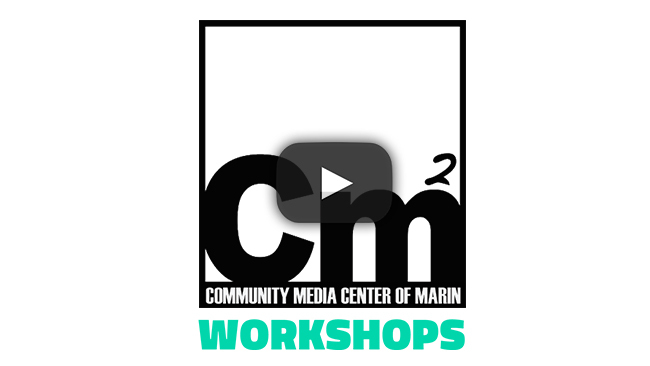 Omid attended the University of San Francisco and graduated with a Masters Degree in Sports Management, which led to his involvement with CMCM’s youth initiative, the Marin Media Corps. While in high school, Omid hosted The Rock Show at KSRH 88.1 FM in San Rafael and produced a documentary on the youth’s views of the Iraq War for DigiQuest.